Welcome to Charity's 1887 Saloon! Built in 1971 by owner Jack Giguere and the Cold Weather Construction Co., Charity's has been a favorite gathering place for local patrons as well as seasonal visitors. Charity’s bar—the saloon’s centerpiece—is an exquisite piece of craftsmanship originally constructed in France and shipped to the U.S. in 1887 for an Italian immigrant named Joe Verzi for his saloon in Davis, West Virginia. It is made entirely of cherry wood with a handrail and pillars of Italian marble. 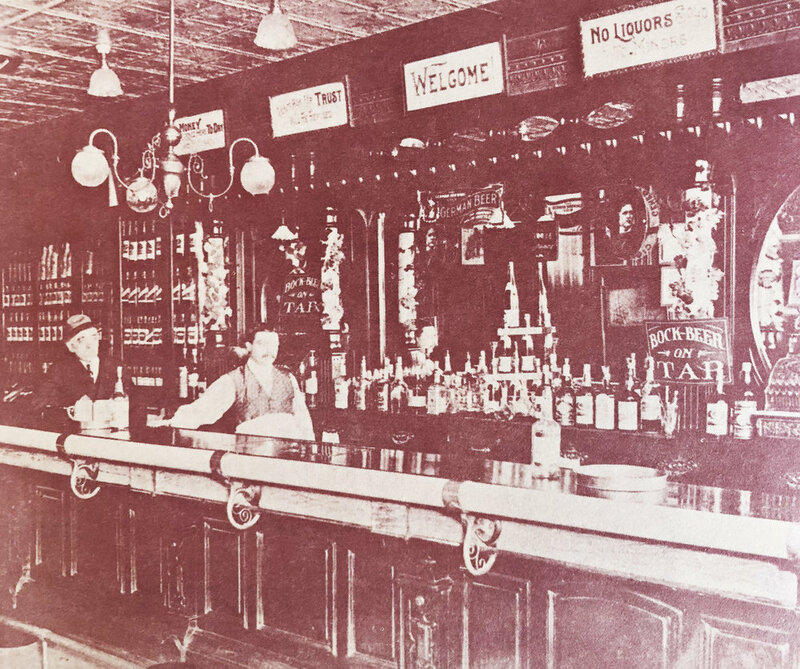 History tells us that Davis was quite a mining and lumbering boomtown in the late 1800's and Mr. Verzi was able to parlay his investment into an entire block of buildings that included, in addition to the saloon, a hotel, a barbershop and numerous other small businesses. Among these was an establishment operated by one Miss Charity, who most surely enjoyed the degree of popularity one would expect in a town full of miners and lumberjacks. Charity’s original owner, Jack Giguere, first heard of the Verzi’s bar from Mr. and Mrs. Robert T. Barton III when they were on a skiing vacation in 1971. Upon learning that their building was to be demolished, Jack set out to acquire the bar itself. When he arrived in Davis, he spent four days studying its construction to determine how it could be dismantled without damage, as it was built with the precision of a fine musical instrument. Of the many local folk who assisted in the work, one nonagenarian gent reflected that if he had a nickel for every beer he’d be quaffed at that marble rail, he would be a rich man indeed. Now that is a sentiment worthy of toast, so do step up to the bar and join us for amazing food and delicious classic spirits!